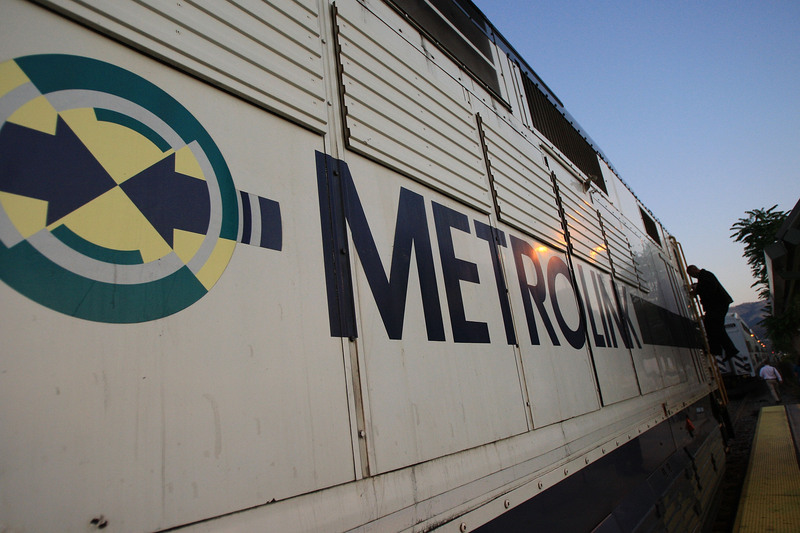 Dozens have been injured in a Metrolink collision in Southern California on Tuesday morning. According to the Los Angeles Times, at least four cars of the commuter train derailed in Oxnard, north of Los Angeles County, at around 6 a.m. after colliding with a truck. At least 30 people have been injured, and no casualties have been confirmed. Capt. Mike Lindbery of the Ventura County Fire Department confirmed on Twitter that there were no fatalities in the crash. Lindbery stated that 28 injured passengers, four of whom critically injured, were being transported to area hospitals. There were also 23 non-injured passengers on the scene. Patients were reportedly treated at the scene on tarmacs splayed on the ground before being transferred to local hospitals. All passengers have been evacuated from the commuter train at this time. CNN reports that the driver of the tractor-trailer, which burst into flames after the collision, was uninjured and able to escape the vehicle. The driver fled the scene, but authorities were able to find him and take him into custody. Metrolink spokesman Scott Johnson said it's currently unclear how the tractor-trailer collided with the train. "How that individual came to stop on the track is yet to be determined," Johnson told CNN. However, he added that the collision could not have been avoided "from a rail standpoint." Metrolink said travelers should expect delays and cancellations on Tuesday, with trains en route to Los Angeles currently stopped between Oxnard and Camarillo. The rail line tweeted Tuesday morning that travelers should "consider using alternate transportation" for the day.